These small, colourful jewels of light are the creations of Iittala’s thorough knowledge of glass. 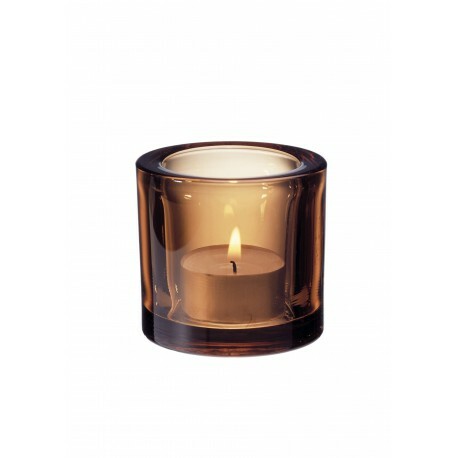 The colours and thickness of the glass enriches the glow as it multiplies the flickers of the flame. The wide range of colours to choose from lets you create a personal combination for every season and occasion of the year. Born in Helsinki, Finland, in 1943. Heikki Orvola is one of the driving forces within Finnish design. He works in glass, ceramics, cast iron and textiles. Orvola has worked for the industrial art business, but he has also worked in a variety of different materials as a form of pure, artistic expression. During his career as a designer, Heikki Orvola has received awards and prizes, including the Kaj Franck prize in 1998 – perhaps Finland’s most important design prize.